An annual project work competition is organised by the Project Management Association Finland. The association selected two project outcomes as the winners: the renovation of the submarine tunnel at Suomenlinna on the basis of an alliance model, and the big room operating model of phase two of the West Metro project. In the second phase of the Western Metro, the big room model was adopted for the stretch of track from Matinkylä to Kivenlahti; this refers to the use of joint premises, a joint management model and situation management. The big room model was adopted on the basis of experiences gained from the first phase of construction. “We are grateful and touched by this recognition. In the project, we are making every effort to ensure that the second phase succeeds in line with the goals. An up-to-date snapshot, robust management, swift decision-making and effective information flow are the cornerstones of our everyday construction activities”, says Ville Saksi Managing Director of Länsimetro Oy. 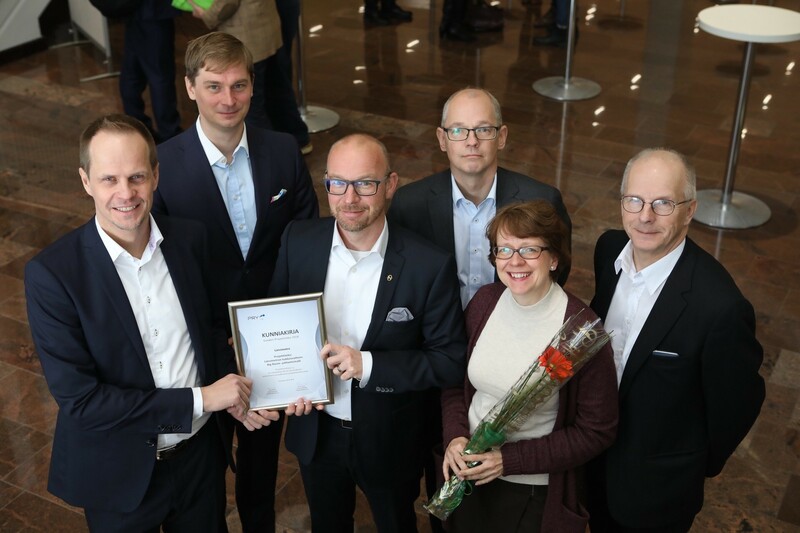 In its grounds for choosing Länsimetro, the Project Management Association Finland commends the new project organisation for demonstrating sound judgement in examining the ‘Lessons Learned data’ and having the courage to make a significant change to the management and working model. “The year 2016-2017 was a difficult one for Länsimetro’s project organisation because the first phase was delayed, receiving negative publicity. Fortunately, those involved in the project had the ability to rethink their activities on an entirely new basis, thanks to the strong trust of the parties and their willingness to act in the best interests of the project”, explains Jouko Kaaja of Project Management Association Finland. Based on the big-room approach, Länsimetro Oy, its consultants and other persons involved in the project are all working under the same roof. City representatives and HKL have also been assigned their own workstations. The term, big room, is generally used in the construction industry and refers to a practice based on which the various parties operate on the same premises in accordance with common ground rules. The project management system has been improved in accordance with lessons learned from the first phase and developed as a unique situation management model, i.e. a situation management room, on a Finnish scale. As well as the project schedule and costs, risks, quality, the smoothness of cooperation and occupational safety are monitored from the situation room. The flow of information has been improved by creating new models and channels for internal communication. In both the big room and construction works, the flow of information, trust and smoothness of cooperation are regularly measured. The City of Espoo specified the construction project plan in spring 2018. The adjusted cost estimate for the construction of phase two is EUR 1,159 million. The goal is to hand the track section over to operator, HKL, sometime during 2023.